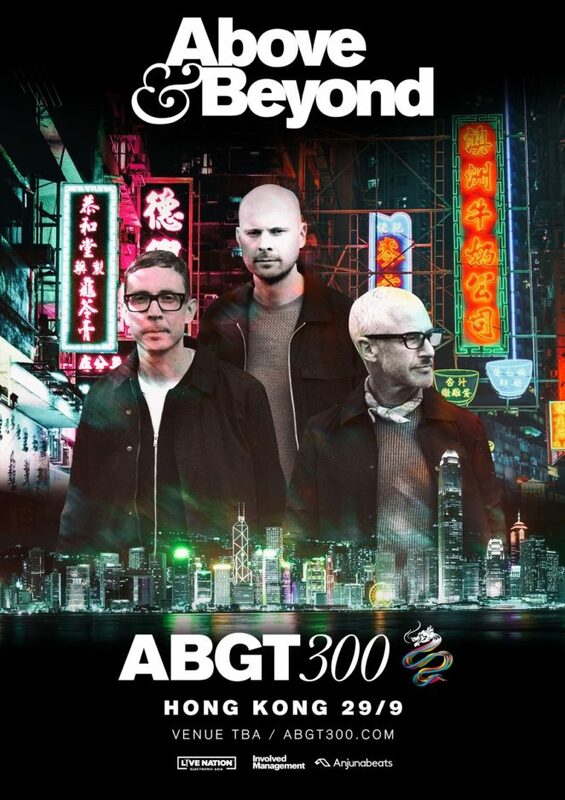 Above & Beyond (aka Jono Grant, Tony McGuinness and Paavo Siljamäki) today announced plans to celebrate the 300th episode of their cult radio show, Group Therapy, with a live broadcast from one of the world’s truly iconic cities: Hong Kong. Previous host venues of Group Therapy (ABGT) milestone events include New York City’s Madison Square Garden, Amsterdam’s Ziggo Dome and London’s Alexandra Palace, and now the annual electronic music pilgrimage will take place in the Far East for the first time, on Saturday September 29. Last year’s ABGT250 celebrations saw over 23,000 fans converge on the stunning Gorge Amphitheatre near Seattle, while the 2016 edition broke new ground when fans from over 70 countries made the journey to Amsterdam to celebrate 200 episodes of Group Therapy. 2018 has already been an eventful year for Above & Beyond, with the group’s fourth artist album ‘Common Ground’ debuting at Number 3 on Billboard’s Album Chart and topping the iTunes Dance charts in over 40 countries. A sell-out tour of North America followed at some of the US’ most prestigious venues including, among others, the LA Convention Center, Brooklyn’s Barclays Center and Miami’s Old RC Cola Plant. Fans who can’t make the trip will be pleased to hear that Above & Beyond will once again broadcast the whole event live online. More details on how fans can participate in the livestream will be revealed over coming months. Last year’s ABGT250 livestream reached over two million people, with the event hashtag reaching top spot on Twitter’s trending charts. With previous ‘ABGT’ milestone events selling out rapidly, fans are advised to pre-register for tickets via Facebook Messenger or Email at ABGT300.com. Those who register will be sent a link giving them a chance to purchase tickets at early bird prices on Friday May 18 at 6pm Hong Kong time. Full venue details will be revealed prior to the on-sale, along with plans for an Anjunadeep Open Air after party on Sunday September 30. Watch the Group Therapy ribbons criss cross Kowloon and Victoria Harbour in the tantalising ABGT300 promo video, featuring a brand new composition from Above & Beyond themselves.